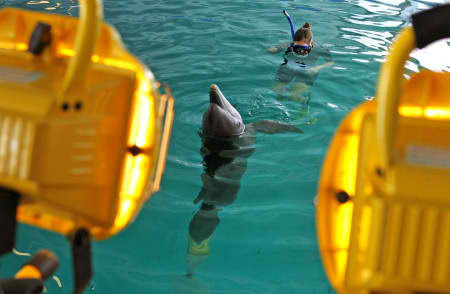 Dolphin Tale is a movie that has been inspired by the true story of Winter the dolphin. However, there was an artistic license on the story, including a scene where Sawyer finds Winter stranded on a beach. In reality, she was found by a fishermen in Florida’s Atlantic Coast. 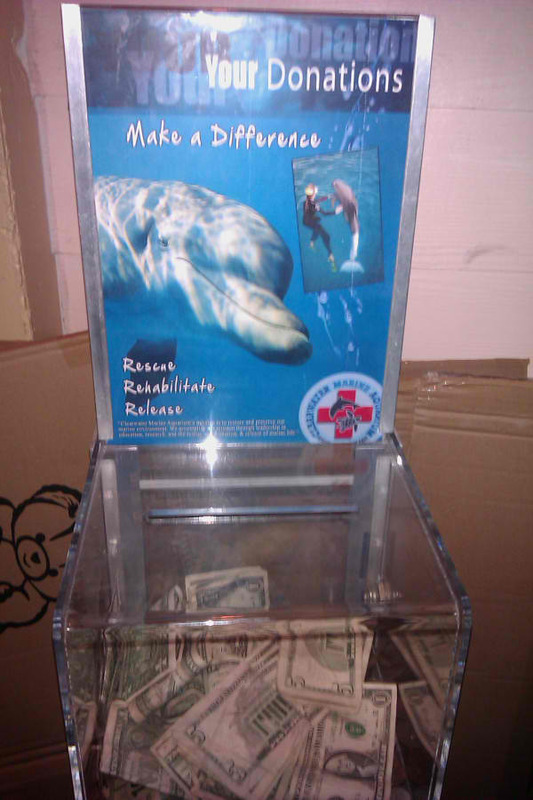 The story also focuses on the fictional story of how Sawyer befriended Winter and rally a group to raise money to both save her, and Clearwater Marine Aquarium. Movie magic helped turned CMA into a rundown facility with fake rust painted around the facility. Many props from the movie that were donated to the aquarium after filming ended. Many of the props have stickers indicating that they were props that were used in the movie. 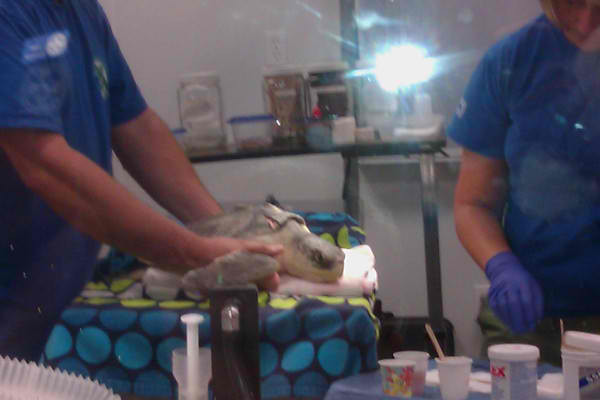 During filming, which began in September 2010, CMA was closed for three months, but the aquarium remained a working animal hospital during the public closing. About 15 minutes after the movie wrapped in December, Clearwater Marine Aquarium received a call of a stranded baby dolphin named Hope, who was found in the exact location where Winter was found, five years and one day to Winter’s rescue. 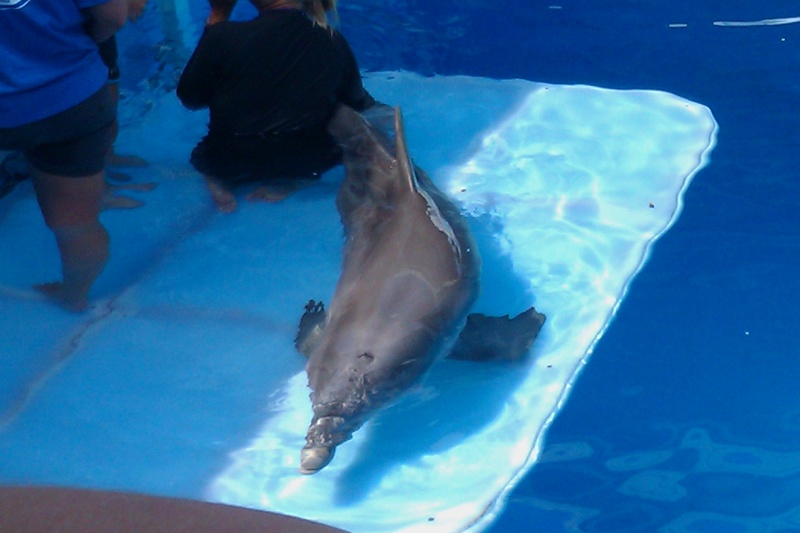 Hope, currently resides in the Dolphin Deck exhibit, the $300,000 pool was used in the movie and was later donated to the aquarium. Will be released on September 23rd, 2011 nation-wide. Clearwater Marine Aquarium CEO David Yates has admitted to starting a movement to get Winter nominated for a “best actress” Oscar nomination. The majority of the movie was filmed at CMA and other various locations throughout Pinellas County, FL. The movie ran over three days over it’s projected date which is unheard of in Hollywood. Extras had to pretend to talk, lip sinc, exaggerate movements, and had to react without hearing the actors. Twenty takes were sometimes required, timing mistakes of movement and backup. Herding extras is like controlling ants. About several hours was spent waiting around for the set to be readied. Extras were paid $75 and were only used to fill in the background holes, and some never even left their holding area to see the sets. The movie stars Harry Connick Jr., Morgan Freeman, Ashley Judd, Kris Kristopherson and of course Winter as herself. It was produced by Alcon Entertainment with a $40 million budget and distributed by Warner Brothers. The film is also directed by child actor-turned-film director Charles Martin Smith. If you are planning to have a picnic on the beach, be sure you pick up after yourself when you leave. Taking part in an annual beach clean-up is one way to keep the oceans healthy for generations to come. In the past 25 years, over 144,606,491 pounds of trash has been collected from beaches world-wide from Alaska to New Zealand. Beach-clean-ups is considered to be very important because throwing trash into beaches, and the oceans can be better known as pollution. When trash gets into the oceans, animals can easily mistaken that trash for a certain food source. An example of this is with the sea turtles. When a turtle sees a plastic bag floating around in the ocean, the animal might mistaken it for a jellyfish before swallowing it as a whole. The plastic bag may prevent the turtle from eating, thus, cause it to slowly starve itself to death. Trash-induced marine pollution has been a subject of a number of wildlife documentaries for years; each and everyone of these segments which talked about marine pollution, has brought a huge light among the public to start taking action to help make their beaches healthier and safe for all marine wildlife. While many coastal towns have taken action to require city dumps to collect trash from beaches and relocate to dumps that are away from beaches, the pollution sadly, still continues. By taking part in these annual beach clean-ups, you are leaving a great example to others on how to reduce marine debris in the seas and allowing wildlife to remain safe from pollution. 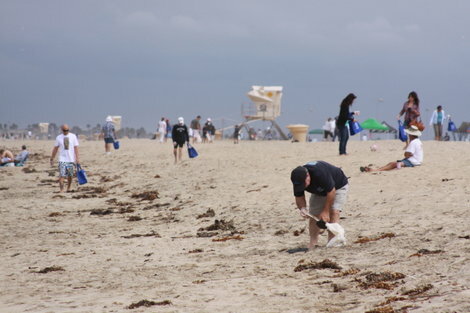 To learn more about how you can get involved in beach clean-ups, visit http://www.oceanconservancy.org/our-work/marine-debris/ to check for beach-clean ups in your community. Nicholas is the only male dolphin who lives at Clearwater Marine Aquarium. You can see him at the Dolphin Terrance Exhibit. Nicholas stranded ashore next to his mother Noelle on December 24th, 2002 at Bullfrog Creek, FL. Both animals suffered from severe sunburns. His mother died three days later from complications from her condition. Nicholas on the other hand, who was six-months old at the time suffered from third-degree sunburns from his melon to his dorsal fin. It covered more than thirty percent of his body. Because he had lost his mother during a time period where he would be dependent on her for his nutrition, the CMA staff gave him around-the-clock-care until he was weaned off several months later. He was declared unreleasable due to his dependent status at the time of his stranding and the lack of survival skills that would have developed during his calf years.For a number of years, Nicholas was housed with another male dolphin named Indy. They were extremely close with one another that, the CMA staff would often put them together. When Winter and Panama were moved out of Dolphin Terrance to go back to the Winter Zone exhibit, Nicholas and Indy were placed in Dolphin Terrance together. Sadly, Indy died this past spring from a sudden illness and Nicholas became the only animal to live in this pool. Today however, Nicholas is a playful bottlenose dolphin who loves his toys. He is a nine-year-old adolescent male dolphin who weighs in at around 375 pounds. Yes, you can Thelma and Louise apart. Thelma has a "bite" mark on her dorsal fin as well as four gills while Louise has no marks on her dorsal fin. She is also smaller than Thelma. More than two weeks ago, my sister Janis was doing a brief shift at the Sea Cavern when guests saw a grouper’s head just floating around the shark tank. As it turned out, Thelma took a bite out of her grouper tank mate and ate him. One of the volunteers, who was present at the time, was so shocked by the grouper’s death, that she was very sad about it. However, after the grouper died, the colony at the cavern was starting to become out of balance and thus, the aquarium had to get a new grouper a week later. Themla and Louise have been part of the CMA family for a number of years now. Believe it or not, they were originally pets that were owned by a private owner. When their former owner first got them, they were juveniles that could easily fit into a traditional small fish tank. The owner originally believed that they would remain small for the rest of their lives. But, man, he was wrong. It turned out that as they got older, the girls were starting to get to big for their tiny home. 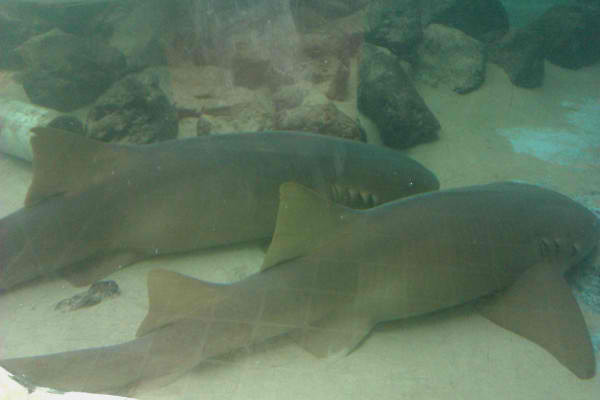 So, the owner had decided to donate his two beloved pet nurse sharks to an aquarium where they can live out the rest of their lives. It was then, Thelma and Louise were donated to the Clearwater Marine Aquarium, where they have resided ever since. Thelma and Louise are a huge testimony to why sharks don’t make great household pets. Today, it’s illegal in the state of Florida to keep nurse sharks as pets. Only zoos and aquariums can legally display them for both educational and scientific purposes. You might hear from extremists about marine life facilities being “bad”. In reality, as much as every zoo and aquarium would love to house beloved animals such as dolphins and manatees to teach people about them, only a handful of facilities in the world house them because caring for them can be extremely expensive. In fact, facilities pay thousands of dollars to provide the food, health care, habitat needs, and enrichment that are all needed to give a captive animal all of its suitable needs. In order to pay for all the needs of their animals, they have get that money from ticket prices, food and merchandise receipts, and direct donations. The question is that many people ask me is this:Why Do people Support Zoos and Aquariums? More than 19 species have been saved from extinction ranging from giant pandas, to California Condors by zoological professionals. Zoological facilities respond to a handful of rescue cases each year. Zoos and aquariums continue to educate the public on conservation awareness. They believe that conservation can only be born through education and a change in heart towards all wildlife. So please, the next time, you visit a zoo or aquarium, be sure you leave them a donation to help continue their tireless work to make the world a better place for generations to come. 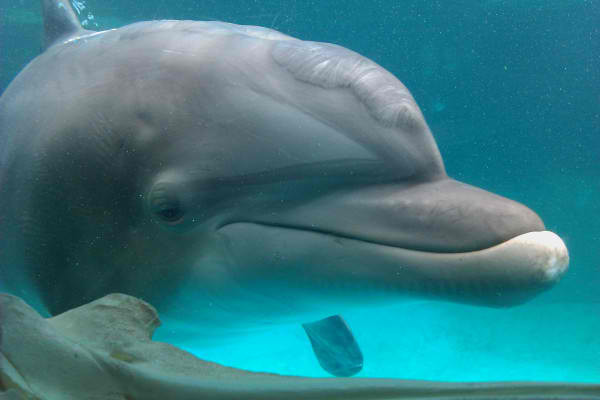 As a lot of you may know, Winter, a bottlenose dolphin who resides at the Clearwater Marine Aquarium in Clearwater, FL will be playing herself in the upcoming film Dolphin Tale which will be released in theaters on September 23rd, 2011. The trainers at CMA had trained all the dolphins, including Winter, in the same matter that SeaWorld trainers would train their animals for behaviors for upcoming animal shows. These behaviors were all established through positive reinforcement and desensitization. Positive reinforcement-Trainers ask the animal through hand signals, imitation and whistle (bridge) to perform a behavior, and reward them when they perform it. Nothing was forced during this process. The staff has fashioned a fake “camera” made of gas cans and raised and lowered it on a fake boom (long stick that usually has a microphone attached) over her pool. 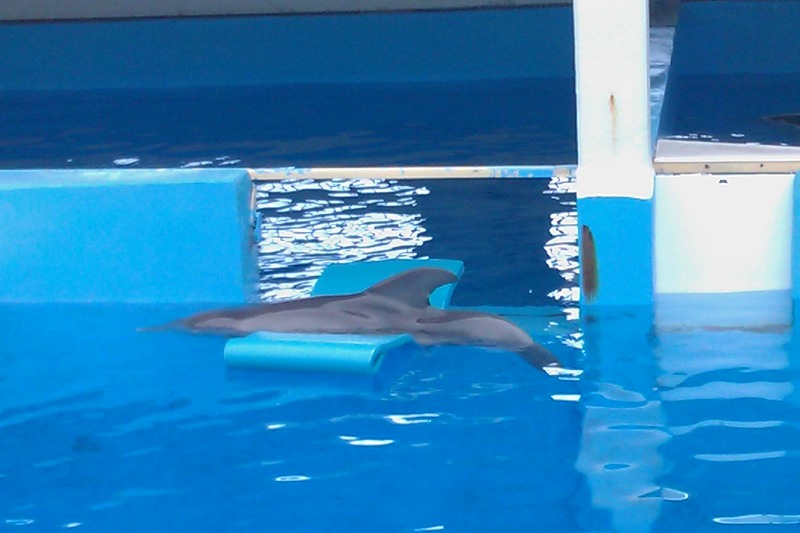 Volunteers took shifts holding reflective boards to familiarize her to the bright lights. A large “blue screen”, similar to what weather people use, was placed in the pool. The trick to desensitization is to go slowly with the training, pairing, every encounter with positive reinforcement/reward, and to make it fun! This way, the animal feels comfortable with the new experience and can enjoy these exciting interactions like a game. Winter, resting on her favorite movie prop, the floating bed.